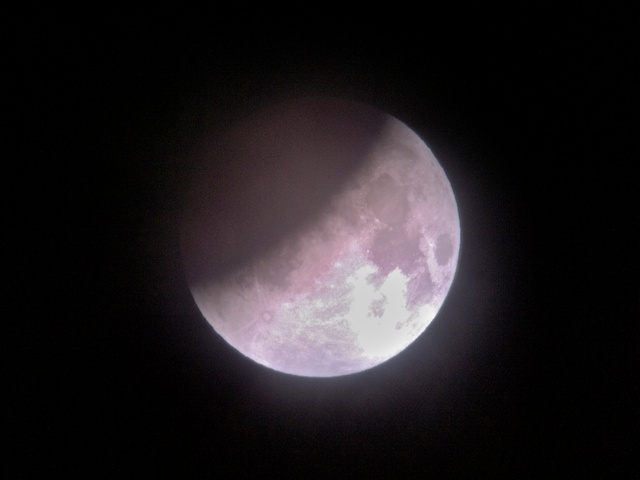 And in a case of "old meets new", for 10 December 2011 Total Lunar Eclipse, I used the Edmund Scientific 3" telescope with my Apple iPhone 4 as the camera. 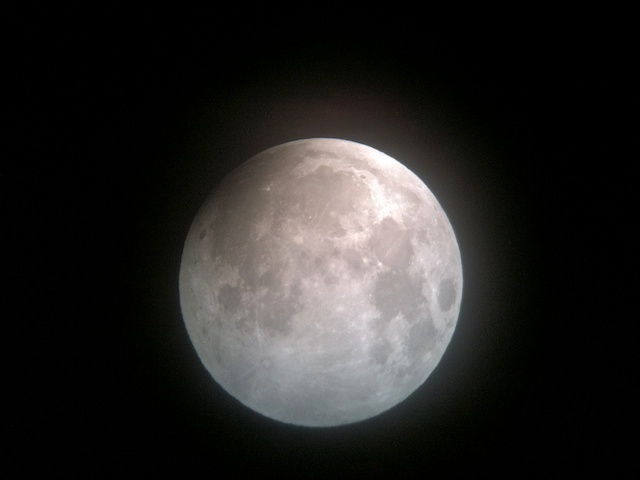 I had last used the iPhone on the Edmund 3" for lunar imaging about a year ago. 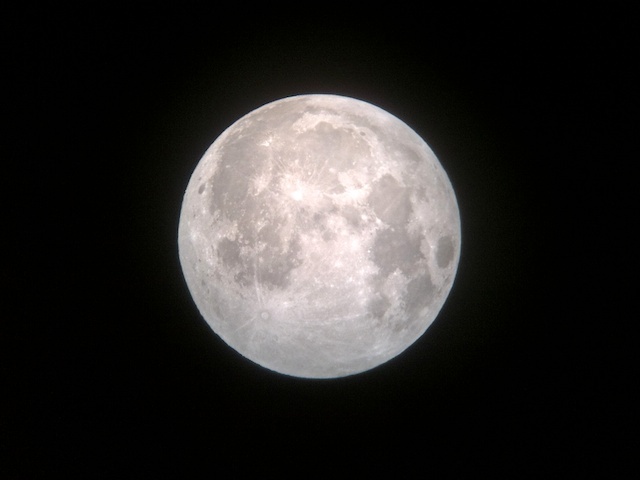 Then, I had to handhold the iPhone over the eyepiece. 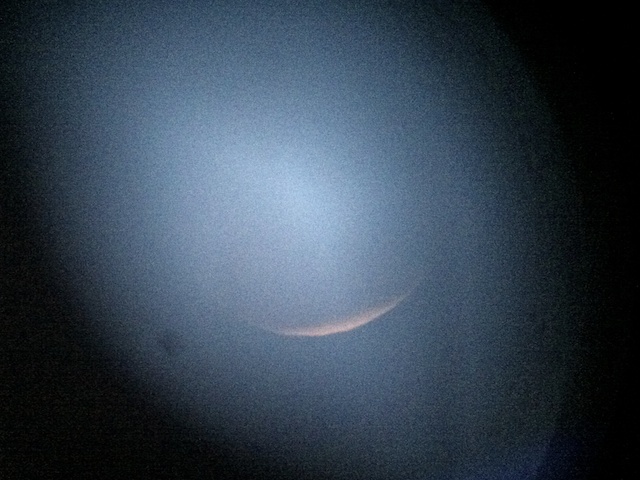 This time I used the Magnilux MX-1 iPhone Afocal Adapter, as it came with a 0.965" eyepiece clamp. 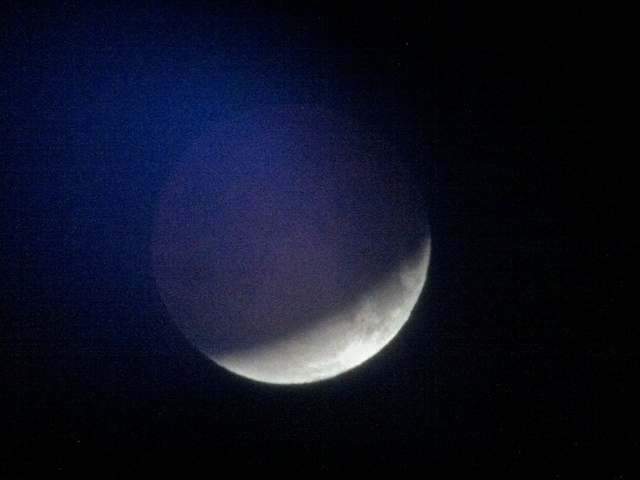 Since the moon would be setting during mid-eclipse, I decided to not open the SkyShed POD observatory. 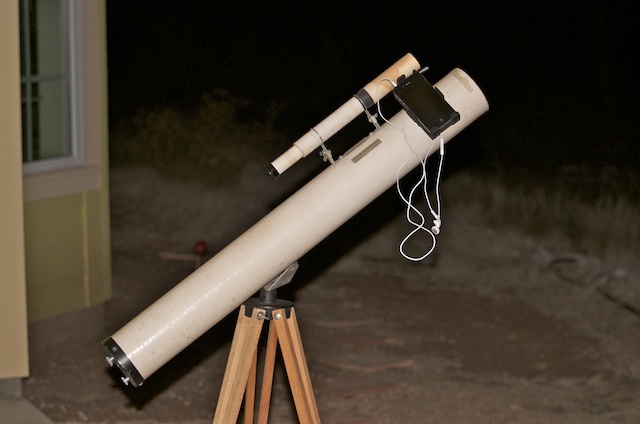 Instead, I set up the Edmund Scientific 3" telescope on the front walkway to the house and did my observing and imaging from there, as it had a clear view to the western horizon where the moon would set. 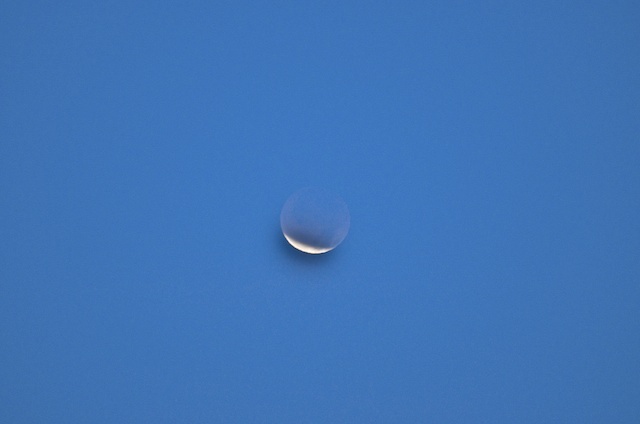 At 0655 MST, I used the D7000 DSLR to capture this image the eclipsed moon, low in the western sky. 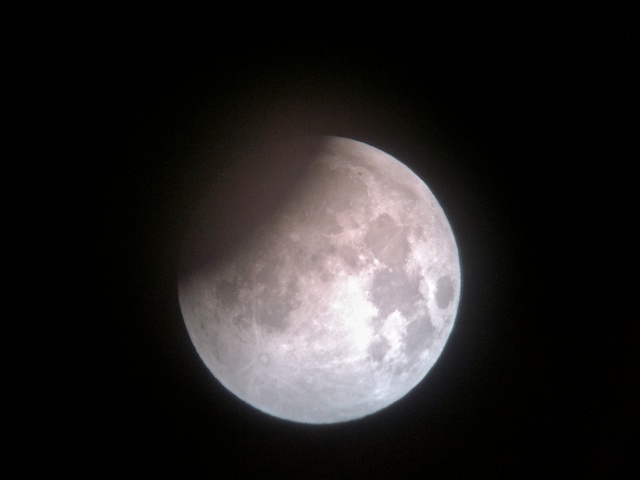 The orange shadow is just visible. 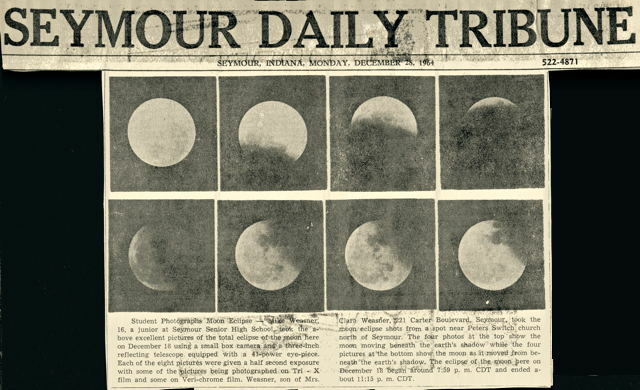 0705 MST: start of the Total Eclipse phase and the moon was gone. I ended the session at 0710 MST, 47°F. 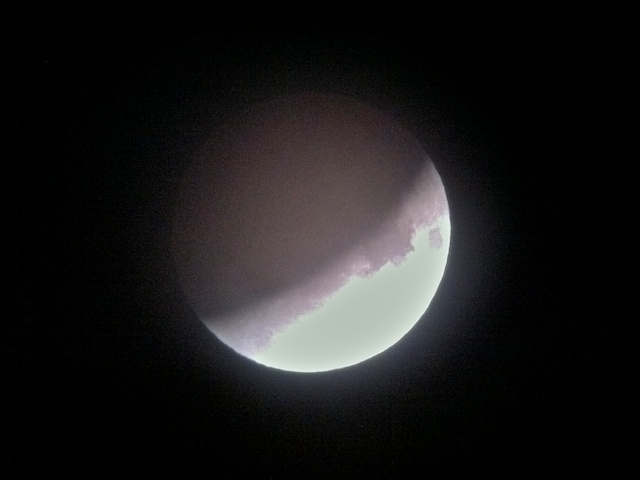 It was fun to celebrate the 50th anniversary of my Edmund Scientific 3" Newtonian Reflector Telescope by using it to photograph a Total Lunar Eclipse. 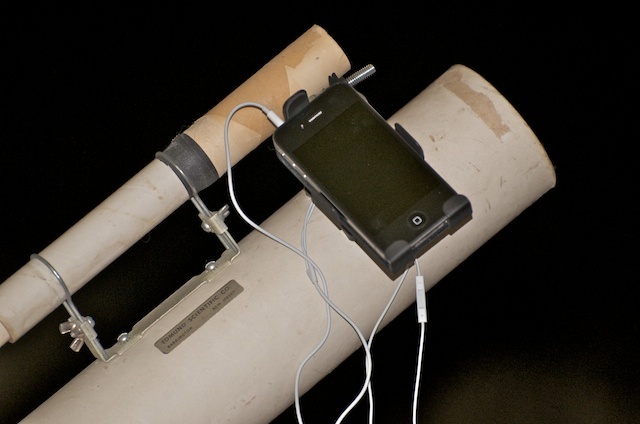 The telescope may be old and well-traveled over the past 50 years, but it is still performing like new. Thanks Edmund Scientific! And many thanks Mom! 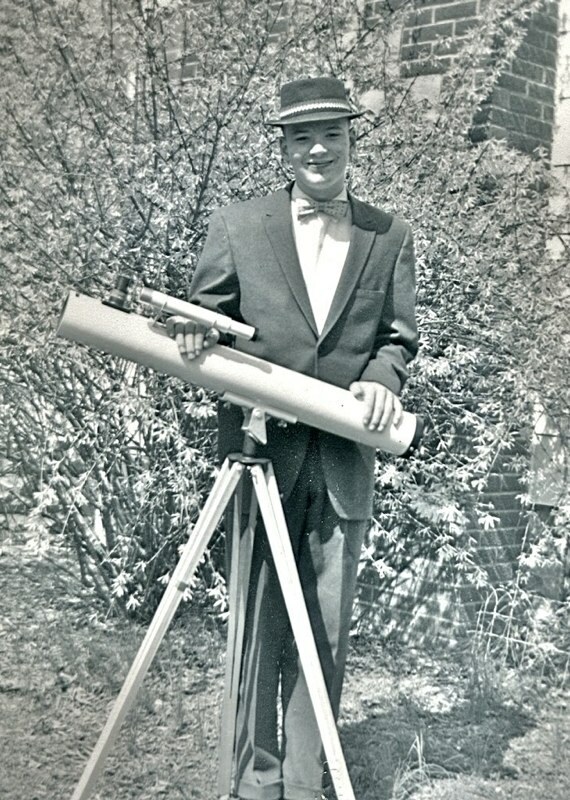 Return to the Cassiopeia Observatory Welcome Page.